You have to admire the Indian obsession with snacks. Snacking in this country is an art form from samosas through to the more elaborate chaat featuring all types of fabulous spices and textures. But I found perhaps my favorite snack so far – and it’s a meal unto itself. 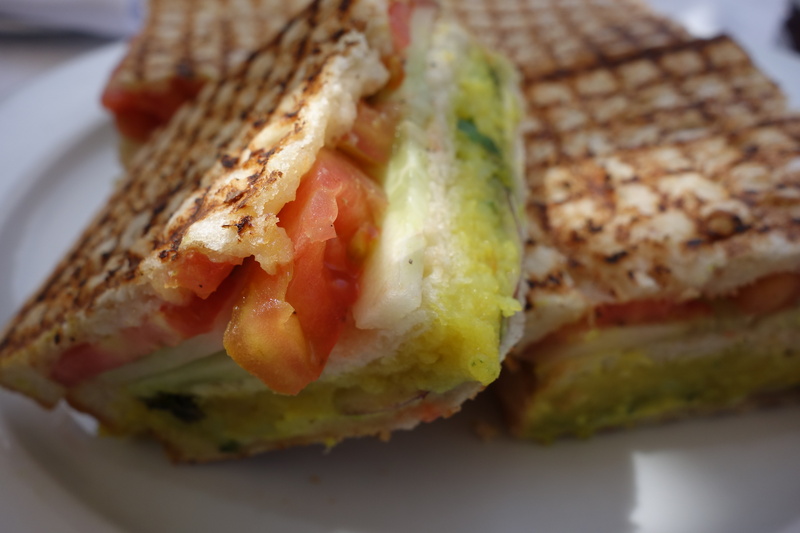 Behold – the Bombay Vegetable Sandwich. Yes.. a sandwich – bread, tomatoes, cucumber, crushed potatoes (usually cooked with spices) and finally – cheese. Gourmet this is not. Hearty and comforting, that it is. Yes, it’s a toasted sandwich. 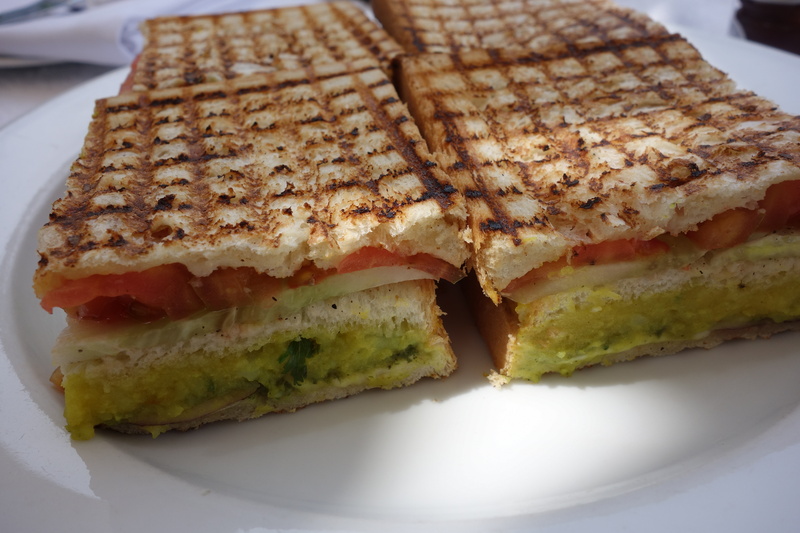 This sandwich is then toasted in a sandwich toaster (or in the case of roadside vendors, in toasting tongs over a portable gas stove) or as we in Australia call it, a Breville Sandwich Maker (aka jaffles). My version came with Emmenthal cheese and the potatoes loaded up with something called “Sandwich Marsala” of spices which included cumin, fennels seeds, cinnamon and cloves. Here we had salty, crunchy, spicy, sweet and frankly, just…tasty. The result was in my view, the Perfect Storm of a Sandwich (and it even had cheese!). Rachel – This was Sean’s favourite roadside treat. He went to the same man all through his university years and visited him every time we went back for vacation. Now when I go home I make the trip for him 🙂 It was always washed down with some fresh sugarcane juice. What a great story! I must find this place next time I am in Mumbai!